Lawsuit Over a Boundary or Easement? Boundary disputes are surprisingly common between neighbors in residential areas in California. These disputes can occur because of bad land surveys, building fences or new neighbors moving in. When property owners get into disagreements over boundaries or easements, disputes can turn into real estate lawsuits. 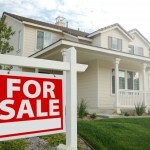 Our Orange County real estate attorneys are ready to represent property owners regarding a boundary or easement dispute. In many cases, arguments between neighbors can be amicably resolved through informal negotiation or mediation. 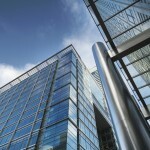 In other situations, real estate litigation in court may be necessary. We guide homeowners through their best options for resolution. What Types of Real Estate Disputes are Common in California? The real estate survey for one property was wrong, interpreted incorrectly by the owner or there was an error in the deed. When this happens, one party may build a fence or structure over the actual property line. This then encroaches upon the neighbor. An easement is a legal right of way which allows someone access to property for a specific purpose, such as to get water, a driveway or a road. 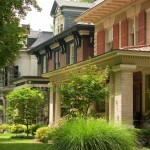 Easements, like boundary lines, can be interpreted incorrectly or misused. Adverse possession can arise in boundary or easement disputes. If one property owner openly builds upon or takes possession of land, it may be deemed rightfully theirs after a certain number of years. We defend homeowners against adverse possession and quiet title actions. Landscaping and trees can be subjects of disputes between neighbors. This is particularly true if tree branches or roots encroached upon another’s property. In California, we have the Solar Rights Act and the Solar Shades Act. These dictate that homeowners have a right to access the sun for solar panels. Homeowners may get into disagreements with a neighbor or a homeowner’s association (HOA) regarding solar panels, or if a tree or other obstacle is blocking a panel. 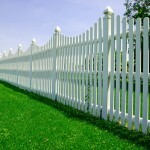 Why Do I Need a Boundary Dispute or Easement Lawyer? When neighbors’ disagreements turn into lawsuits, you need a real estate attorney that is not only a litigator but also a counselor. We try to find solutions to boundary and easement disputes that will allow the parties to peacefully coexist in the future without adversarial and expensive litigation. However, we aggressively defend our clients in court if we cannot reach a settlement. If you have a disagreement over a property encroachment, land boundaries or easements, then contact our real estate dispute attorney for a free consultation and legal advice as to how best to move forward.